MOBILE, Ala. – The U.S. Army Corps of Engineers, Mobile District will be opening Sawnee Campground on Lake Sidney Lanier on September 20, 2013 until March 23, 2014 on a first-come, first served basis. Campers will have the opportunity to pick a campsite of their liking and pay, review fees, rules and regulations, or obtain maps of the park and lake at the self-service registration station by the gatehouse. The gatehouse is not staffed full-time; however, park rangers and camp hosts will be making rounds regularly. After March 23, 2014 the campground will be closed for two weeks for preparation of the summer recreation season and will resume normal operation April 10, 2014. Sawnee Campground offers many beautiful waterfront sites from 50 AMP service for larger RVs to primitive pack-in sites for tents. At Sawnee you can unwind in nature while being merely minutes to several amenities including grocery stores and restaurants. Nearby trails include the Little Ridge Trail to the west and the Laurel Ridge Trail to the east, a four mile loop that boasts fantastic views of the lake and crosses through many U.S. Army Corps of Engineers parks. Trout fishermen will enjoy fly fishing and relaxing in the gorgeous Chattahoochee River just 1.3 miles away. Boaters can access Lake Lanier by a boat ramp inside the campground for use by campers only. 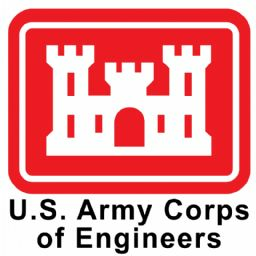 USACE encourages you to wear a life jacket; it's an idea everyone can live with.